Band Members: Patrick O’Connor – lead and backing vocals, electric and acoustic guitars, percussion; Eve Gross – lead and backing vocals, keyboards, glockenspiel; Albert Lu – bass guitar, percussion; Kathie O’Connor – drums and percussion. Perhaps nobody loves power-pop music more than me. So when The Shake Ups mention influences like The Shins, The New Pornographers, and The Apples In Stereo, my appetite is immediately whetted. Nearly any combination of choppy guitars and sing-able melodies will turn my head in that favorite sound’s general direction. Unfortunately, Breathing the Flood is not exactly what a diehard power-pop aficionado usually bargains for. Instead, this CD has all the right elements; but somehow these weren’t mixed together correctly. Singers Patrick O’Connor and Eve Gross pair up to comprise The Shake Ups’ center of attention. And while they both sing well together, and sometimes trade off lead vocals, they are by no means Neko Case and A.C. Newman (of The New Pornographers). You might say they have the pop, without the power because this music lacks necessary toughness. Granted, the guitar and organ fit just right during the intro to “You’ve Got the Number”. But when O’Connor and Gross begin to sing it, the lame Quarterflash (Remember “Harden My Heart?”) is suggested, but not something far cooler. O’Connor and Gross are too polished, too perfect, but not too rock & roll. Great power-pop has all the musicality of pop music, along with the hefty muscle of rock. But The Shake Ups have gotten only half that two-part equation right. When we get to track 11, “Seismic Waves”, with its extended guitar solo, The Shake Ups finally get the balance right. But on a 12-song release, this victory is too little, too late. 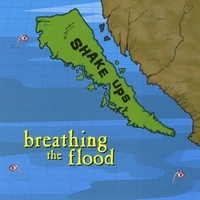 To check out more about a The Shake Ups and hear its music, please visit http://www.myspace.com/theshakeups or www.TheShakeUps.net.